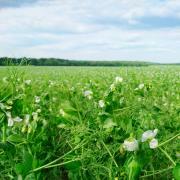 You may have heard the term Cover Crop or Green Manure used in an agricultural context. It refers to farmers who produce acres of harvestable produce and utilize a sustainable, natural method of soil management. This is done by the growing of a selective species of plants specifically for the benefit and improvement of the soil. Sounds like a great win for farmers, but does this type of soil management apply to small scale gardening? Does is work for the the home garden or for a few raised beds? The answer is a definite “yes!” Chemistry and physics apply whether it’s a 3 x 10 foot garden bed or a 500 acre farm. The use of cover crops is universally an excellent method of giving back to our soil and sustaining its nutrient levels naturally. So, what exactly does “cover crop” mean? Simply stated, it’s a crop whose main purpose is not a harvestable product. It's relatively a new term only being used in the last 50 years or so, but the practice of planting cover crops can be traced back to ancient civilizations. The ancient Chinese were able to grow rice year after year in the same fields by planting a cover crop of vetch. 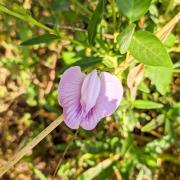 About the time the vetch began to flower, they would cut it and the field would be flooded for planting rice. Ancient Romans noted that the use of legumes such as lupines, black medic, and vetch were helpful in keeping the soil more productive. In America, our founding fathers, Washington and Jefferson, saw the need to rotate crops so that the soil was replenished. By the mid-1800s, crop rotation was becoming more widely used in order to restore the soil and keep it more productive. Suppressing weeds – Quick growth of the cover crop can shade out and rob weeds of their nutrients. Good selections for weed suppression would be: rye grass, hairy vetch, oats and buckwheat. Some of these cover crops, notably rye, put out chemicals in the soil, which can interfere with weed seed germination. This process is called allelopathy. Erosion control – By growing cover crops with broad leaves to intercept rain and vigorous root systems to hold soil in place, the soil can be protected from winter rains and run-off. 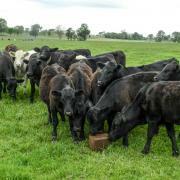 Good erosion control covers are annual rye grass, Berseem clover, sweet clovers, and rapeseed. Improving soil – Poor soil structure can be improved by selecting cover crops that produce large amounts of biomass. This green manure can then be implemented into the soil, adding organic matter which will improve soil aggregation. Growing a cover that has deep roots that swell during growth, like Daikon radish, will help alleviate compaction of soil and break hardpan. 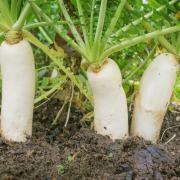 Daikon radish is known as a "bio-drill." 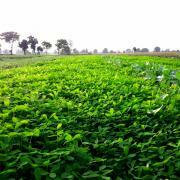 Also, growing legumes gives the added benefit of nitrogen fixation. 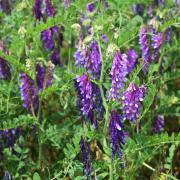 Hairy vetch, crimson clover, and field peas are great examples of nitrogen fixers. Nitrogen can also be held in the soil and kept from leaching out during the heavy rains of winter. These are called cover crops scavengers because they hold the excess nitrogen and other nutrients in the soil root zone so that they will be available for subsequent crops. Examples of scavengers are turnips, radish, and small grains. Pest management – Some cover crops have been shown to support beneficial soil microbes and produce helpful compounds. Growing a cover crop produces food for beneficial nematodes that play a huge role in the soil ecosystem. Cover crops can also help control unwanted plant-parasitic nematodes that damage crop production. 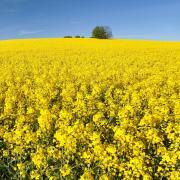 An example would be white mustard with its high amounts of glucosinolate, which can be toxic and help control the populations of damaging nematodes. 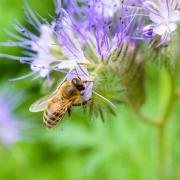 On the flip side, cover crops can also be grown to attract pollinators. Buckwheat and phacelia are great annual covers that will increase fruit set for vegetables like squash and tomatoes. They also serve as a secondary food source for beneficial insects that prey on pests. Are you convinced now? There are so many reasons to grow a cover crop! With some thought and planning, a sustainable, natural management system can be utilized in any garden space. This variety has been the standard of the industry for many years. 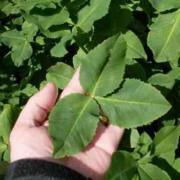 It exhibits good winter hardiness, has moderate re-growth after cutting, is fine stemmed and has dark green leaves. 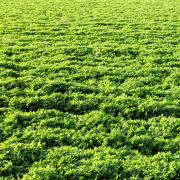 Vernal alfalfa seeds are used mostly for hay production in medium rotation applications. This legume is very good for cover crops or green manure crops and since Austrian winter peas build tilth they add organic matter and thus humus to the soil. Trifolium Alexandrinum - Frosty represents a huge breakthrough in cold tolerance for berseem clover. 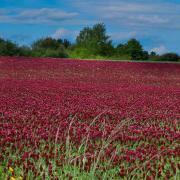 Historically the usage of berseem clover has been extremely limited due to its frost intolerance. Frosty berseem has been documented to survive cold temperatures down to 5 degrees Farenheit which makes it great for deer food plots and cover crops. 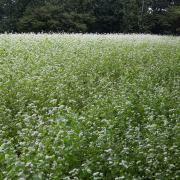 Buckwheat is a great cover crop which is often used for green manure. Buckwheat has a short growing season maturing in 10 - 12 weeks. It is often killed off by the first heavy frost. Crimson Clover Dixie (Trifolium Incarnatum) - A winter annual, crimson clover is grown from bulk clover seeds from the Gulf Coast region to Southern Ohio clear to the West Coast. It is tolerant of medium soil acidity and will grow readily on both sandy and clay type soils. It is an important winter annual forage in the south, with growth continuing through the winter with the amount influenced by temperature. A deep rooted forage radish used as a cover crop. The deep taproot can help break through tough, compacted soil, improve water infilatration, suppress weeds, reduce pests, and stores nitrogen. A tried and true bean seed dating back to the 4th century. Fava beans are one of the oldest domesticated food legumes often used as a cover crop seed. FIXatioN Balansa Clover (Trifolium Michelianum Savi) - If you are looking for a Bio-Massive clover, than look no further! This exciting and revolution clover is like no other on the market. Balansa clover is open pollinated. Flowers vary from white to pink and are attractive to bees. 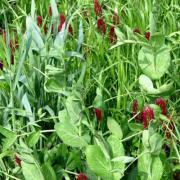 Gardenway is a great cover crop seed for your home garden. It is a mixture of several different seeds which can establish quickly. Cover crops help retain the soil, lessen erosion, and add organic tilth to the soil if tilled in. 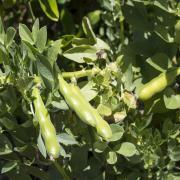 A hardy, viny, annual or biennial legume, attaining a height of 24 inches when planted alone and higher when planted with a tall companion crop that provides structural support for climbing. Often used as a cover crop seed. Lacy Phacelia (Phacelia Tanacetifolia) - If you want to bring bees and other beneficial insects to your garden, start Lacy Phacelia seeds. This annual wildflower grows well in hot, harsh desert conditions, but it adapts easily to other environments. The Lacy Phacelia flower spike is light blue-violet and has bees busy all day long, and the foliage is fern-like and lacy in appearance. 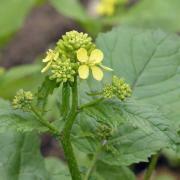 Brassica Nigra - This annual culinary herb is well-known as the old-fashioned mustard that gave the condiment its start. Quickly grown from Mustard seeds, the Mustard plant produces herb seeds which are ground and used to spice many different foods. The mustard seeds are small, hard and vary in color from dark brown to black. 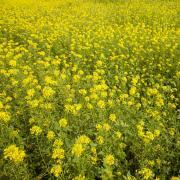 Sinapis Alba Nemagon - This variety of white mustard is used for cover crops with outstanding nematode suppression. It hinders the life cycle of nematode larvae and acts as a natural biofumigant when turned in to the soil just before flowering. Partridge Pea (Cassia Fasciculata) - A versatile annual that is perfect for a naturalized setting or meadow! 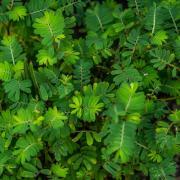 Grow Partridge Pea seeds for a variety of settings which include, wildlife habitat improvement, erosion control, and to beautify a natural setting with an attractive wild flower. Brassica Rapa - An easy to grow, short season brassica species used for forage, deer food plots, and cover crops. 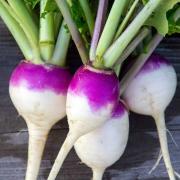 This turnip is white and purple that has smooth, globe roots take about 55 days to reach maturity. One of the most versatile of the brassicas, being suitable for a wide range of soil fertility, cover cropping and environmental conditions, stock classes and sowing times. Great for deer food plots too! This new generation annual ryegrass with exceptional plant vigor, forage yielding ability, stress tolerance and disease resistance is quick at germination and used for erosion control and cover crops. Field peas have a wide variety of uses: cover crops, cereal grain, green chop, sprouting, wildlife mixes and can be used in bird seed mixes as well.